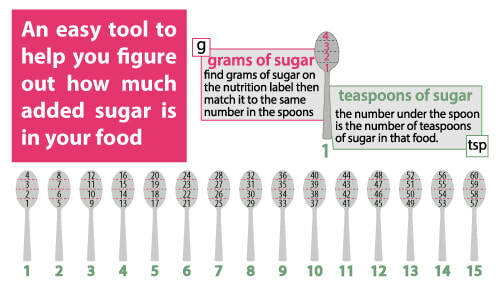 The average American gets about 22 teaspoons of added sugar each day. This is more than twice what the American Heart Association recommends. See below what your daily sugar limit should be. 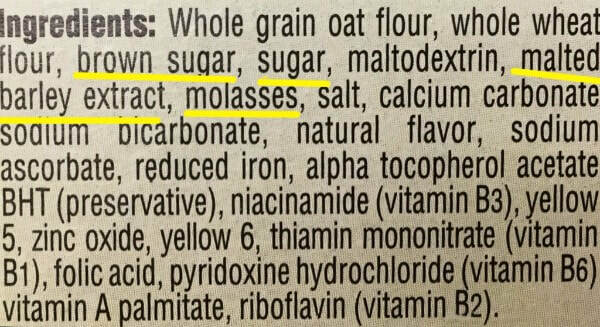 Look at all the types of sugar in this cereal! Eating or drinking too much sugar has been linked to dental cavities, weight gain, and obesity. It is also associated with a higher risk of many chronic diseases such as diabetes, high blood pressure, heart disease, and even cancer. Want to know more about sugar? Check out these other resources.